In my previous posts [this & this] I talked about creating Memory Optimized Database, how to create In-Memory Tables & Native Compiled Stored Procedures and what happens when they are created. Here in this post we will see how FAST actually In-Memory tables & Native Compiled Stored Procedures are, when compared with normal Disk based Tables & Simple Stored Procedures. I’ll be using the same [ManTest] database used in my previous posts, you can refer to the DDL script [here]. 1. One Disk based Table & one simple Stored Procedure which will use this Disk based Table. 2. 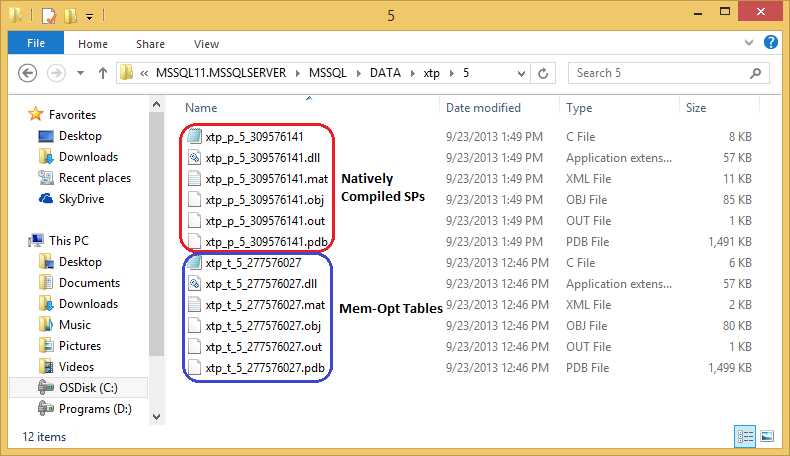 One In-Memory Table & one Native Compiled Stored Procedure which will use this In-Memory Table. 1. Load Disk based Table by T-SQL script using a WHILE loop. 2. Load the same Disk based Table by Stored Procedure which internally uses a WHILE loop. 3. Load In-Memory Table by T-SQL script using a WHILE loop. 4. Load the same In-Memory Table by Native Compiled Stored Procedure which internally uses a WHILE loop. So, you can clearly see the benefit and multifold increase in performance by using In-Memory Tables & Native Compiled Stored Procedures. The graph below shows performance in visual bar charts, impressive, isn’t it?